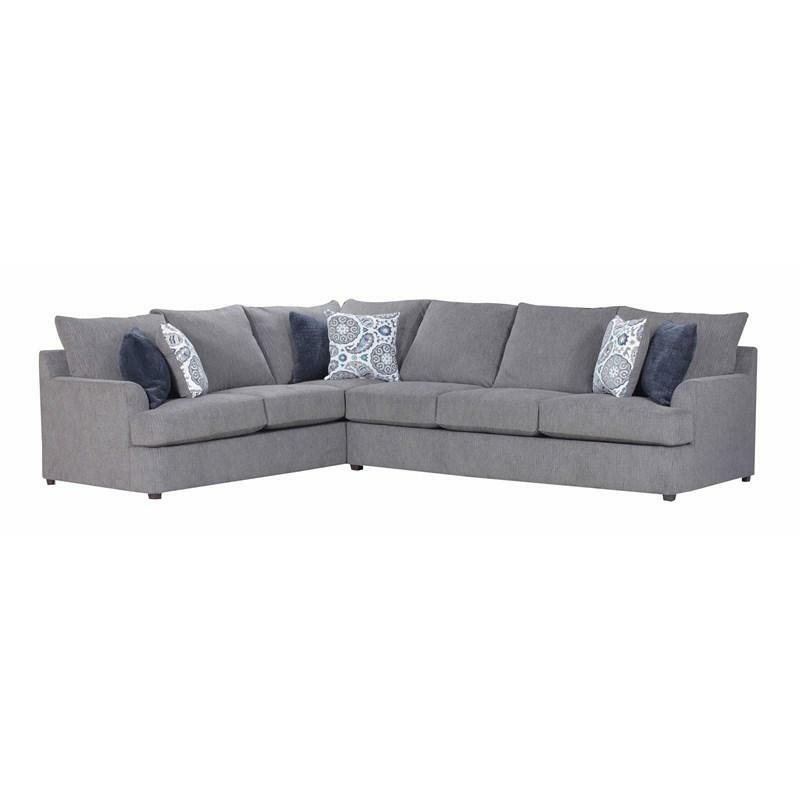 This Sectional by Simmons Upholstery & Casegoods features "T" shaped seat cushions, tapered arms, and is upholstered in a Grandstand Flannel fabric. 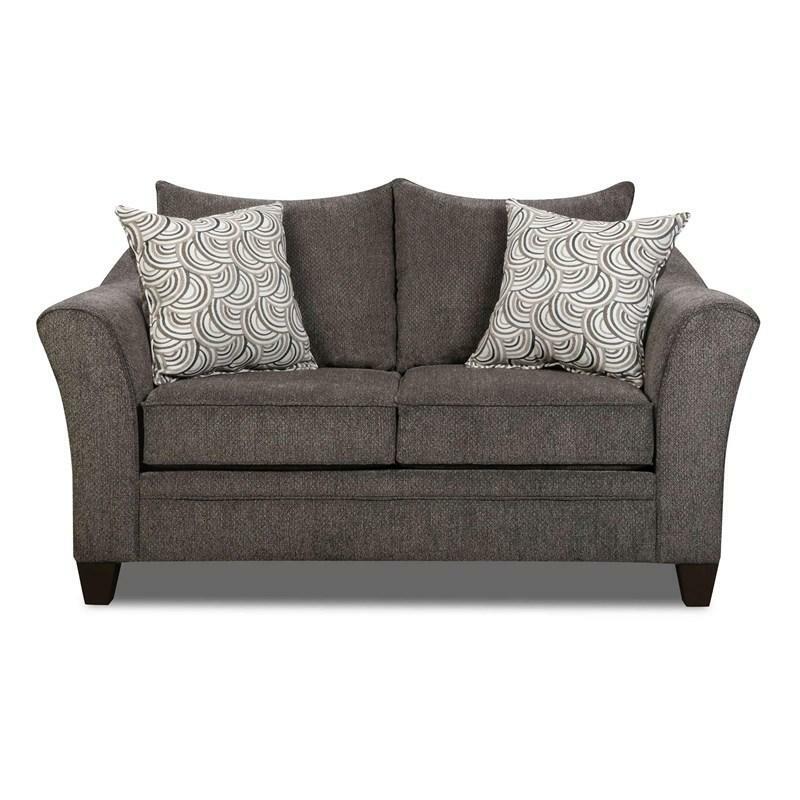 It includes an RAF sofa and LAF bump sofa. 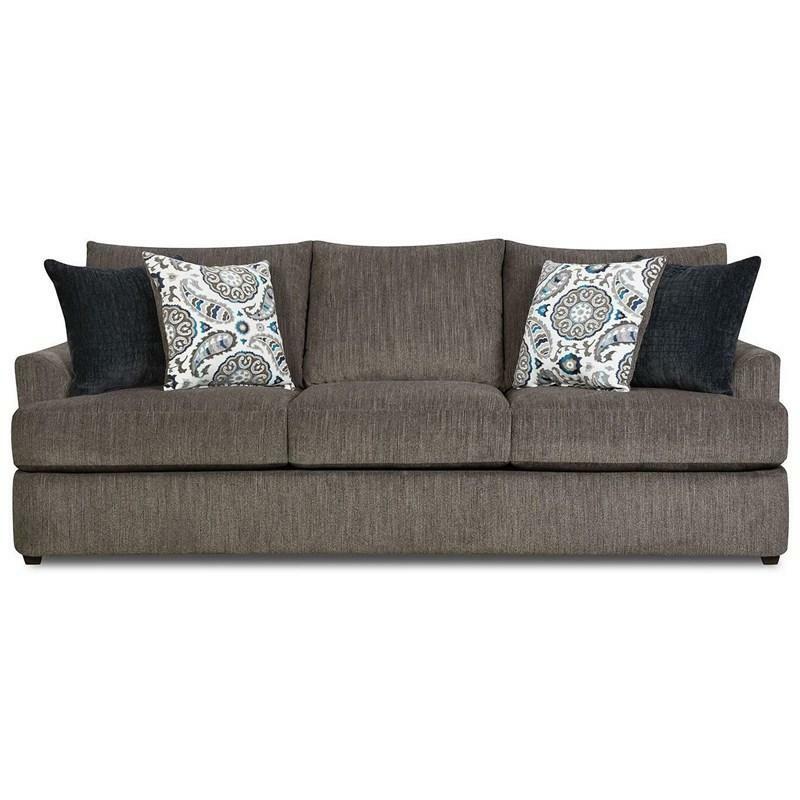 This sofa by Simmons Upholstery & Casegoods features transitional styling, deep seating, reversible T-cushion with Simmons Beautyrest pocketed coils and is upholstered in a Grandstand Flannel fabric. 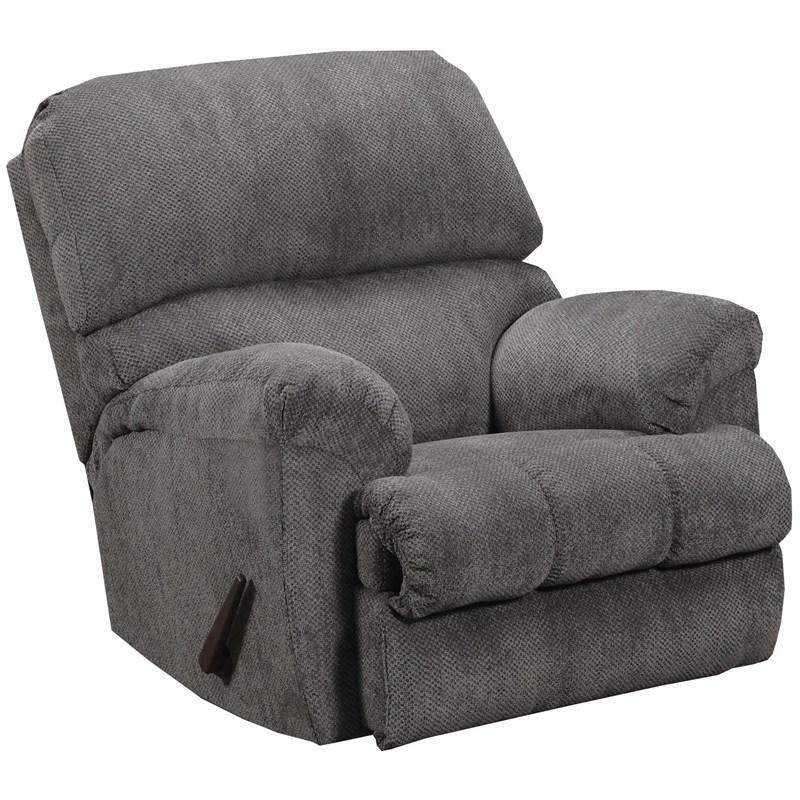 Harlow Ash Rocker Recliner from Simmons features generous scale, extra padded pillowtop seats and arms, and pub backs with accent stitching throughout, covered in a soft chenille cover. 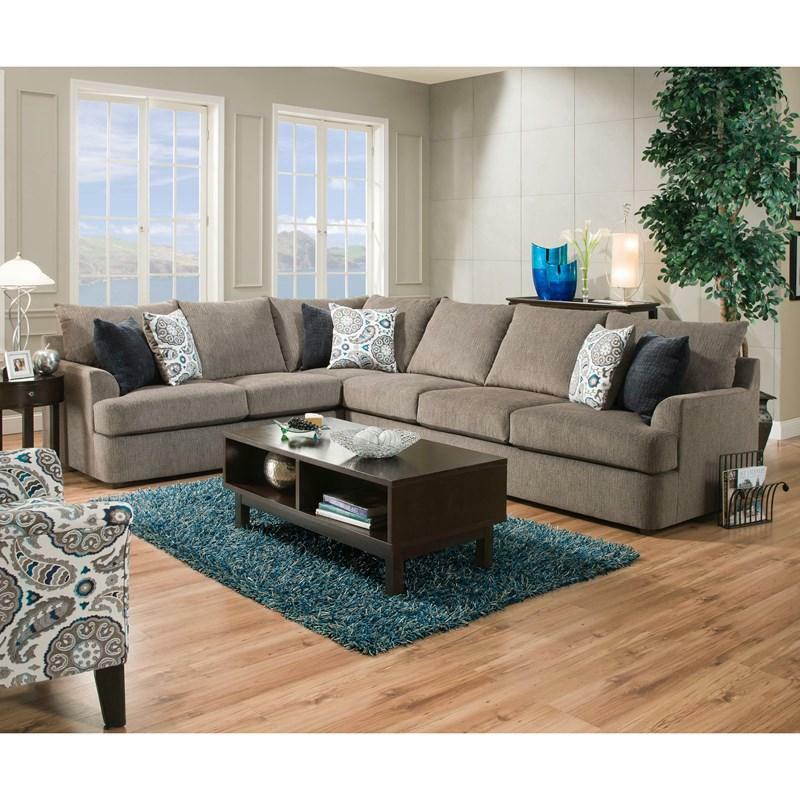 It is a stylish piece in any living room.